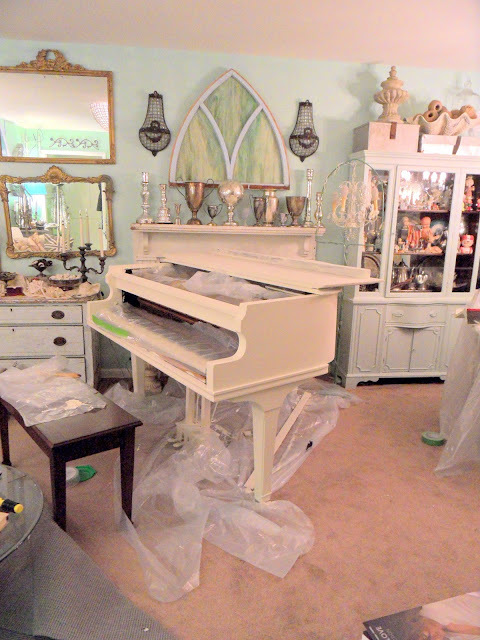 I used Annie Sloan Chalk Paint in Old White to paint my grand piano. It took a good two days to complete, but was well worth the effort! 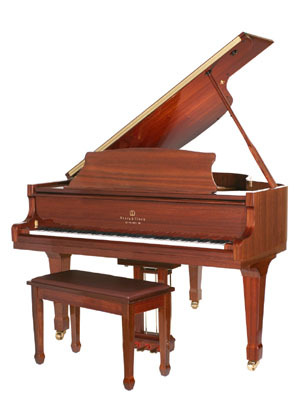 The previous ugly brown mahogany finish had seen better days, as the piano is about 100 years old. I probably could have finished this project in one day if I hadn't run out of paint. It took a good quart and a half to cover everything. 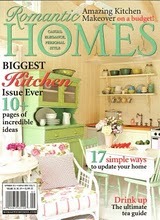 I love using chalk paint, because you don't have to sand or prime! It will cover just about anything. I love the way the paint goes on, nice and thick--you see the brush strokes. It makes it look like it has layers and layers of paint--a perfect shabby finish. Here is another after shot. Bench not shown, because it needs another coat of paint and is currently on top of my dining room table! Silly me forgot to take a before photo, so here is another piano to help you picture the drastic change that occurred. A big, ugly, brown piano just would not work in my living room! During--I removed as many pieces as I could around the keys and covered them with a tarp. I also covered all the inner workings, as paint getting on the strings or soundboard would be a very costly mistake. The piano got three coats. Much more paint that a usual chalk job, but the wood was unsealed and sucked a lot of paint up. After, a beautiful white grand piano. Something I have dreamed about for many years!